A new business has opened in downtown Hillsboro, but you'll need to hurry if you want to check it out before it shuts its doors. The Temporium, downtown Hillsboro's first pop-up storefront, has set up shop at the corner of Third Avenue and Main Street, offering holiday gifts to people over the next few weeks. The pop-up is the brainchild of the Hillsboro Downtown Partnership, a nonprofit group which works to promote the downtown and its businesses. The Temporium opened Nov. 15 and runs through the end of December. After that, the shop will close its doors, but EJ Payne, director of the nonprofit, says future iterations of the pop-up shop will continue to appear in and around downtown at different times throughout the year. "We are trying to do something that was different," Payne said. The Temporium pop-up gift shop is open Wednesdays through Sundays at 276 E. Main St., the former site of Hill Florist and Gifts, which has downsized to a smaller space at the same address. 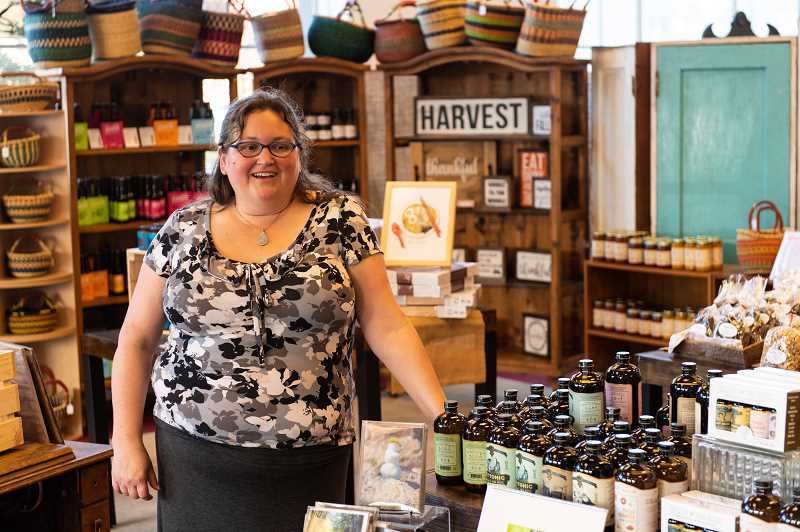 The Temporium sells everything from locally grown nuts, mushrooms, breads, pastas, pies and cookies to ceramics, glassware, art pieces and woven baskets. The pop-up is anchored by Bennett Coffee, a small coffee roaster which operates in the backyard office of downtown residents Mark and René Bennett. The couple have been making and selling coffee at local farmers markets and New Seasons supermarkets for years, but have never had a retail space of their own. "Think of it like an indoor gourmet farmers market," Mark Bennett said. Products in The Temporium come from local vendors and artisans from within a 30-mile radius of Hillsboro. Like the Bennetts, most of the vendors are used to operating at local farmers markets or small venues. "We wanted everything to be local," Bennett said. "This is a gift shop that features everything local. We wanted to bring them here and give them more exposure." Temporary shops like the Temporium have been growing in popularity in recent years. They offer all the benefits of a brick and mortar location, Payne said, without the risk of signing a multi-year lease. "You always see corner popups that happen on Valentine's Day or seasonally with truckloads of oranges," Payne said. "We want to give that opportunity to vendors who have crafts." Pop ups help local businesses test the waters, Payne said. Restaurants and shops who have locations in other communities may be able to use the pop-up space to test out a Hillsboro location. "Pop ups give people the ability to try things and experiment, without having to sign a five year lease," Payne said. "That lease is the scariest thing for a small business." 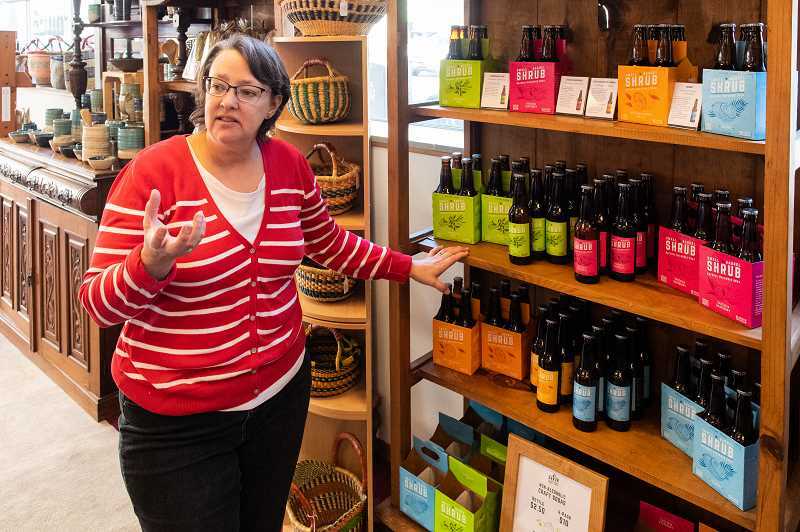 Other local businesses may discover new products at the Temporium they want to feature in their own stores in the future, Payne said, and the store gives business owners looking to move to Hillsboro the chance to explore a space that's looking for new tenants. "There are so many facets to it," Payne said. "Honestly, this is so good for the downtown, both for the potential and the activation." The Downtown Partnership attempted a popup a few years ago, Payne said, but it wasn't successful. But after only a few weeks, the Temporium has already seen a growing fanbase, Payne said. On its first day, the shop saw a small rush of customers, interested in checking out what the temporary shop has to offer. Payne, a longtime customer of Bennett Coffee, asked the Bennetts to anchor the temporary space, to help draw in customers and give the coffee roasters some experience running a retail store. "We wanted to partner with a business that might be interested in opening brick and mortar store," Payne said. Hopefully, Payne said, the experience will be enough to help some vendors, like the Bennetts, decide to open up a store of their own in downtown. After the shop closes its doors at the end of the year, Payne and others at the Downtown Partnership will begin thinking up the next phase of the Temporium. "We'll be able to replicate this in different ways," Payne said. She hopes to see the Temporium take different forms each time, she said. The next pop-up shop may be a woman's boutique, Payne said, or a space to showcase the works of the city's young people. "We plan on taking the Temporium name with different types of popups. We could have different stores with different themes throughout the year," she said. "This is just the beginning."